Square Enix Collective has announced that Battalion 1944, the old-school World War 2 First Person Shooter from Derby-based studio Bulkhead Interactive, has entered Early Access on Steam. The shooter is designed to replicate the feel of the best FPS games from the 1990s but with all the extra grunt and gloss of a modern day game. It recently enjoyed a successful beta weekend as a sign off before its Early Access debut. It’s no exaggeration that Battalion 1944 is the game I’ve always wanted to make. We’ve enjoyed success at Bulkhead before, but we’re all gamers who grew up playing the best FPS games, so the idea of making one that stripped things back to the competitive nature of the shooters of old has been a dream come true. Battalion 1944 is available on Early Access from today priced at £11.99. Those who backed the Battalion 1944 Kickstarter campaign will get exclusive skins and multiple cosmetic and vanity focused loot crates. 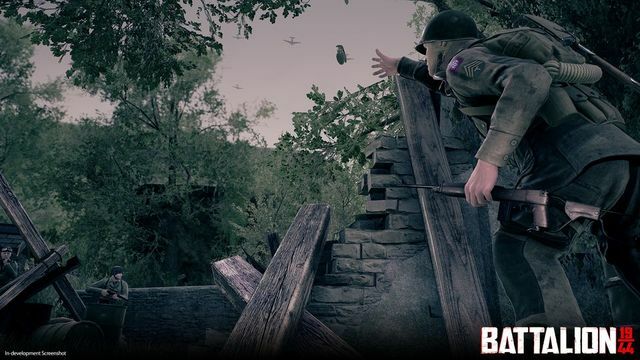 EF Games will see you on the battlefield and will be bringing you our Battalion 1944 impressions later this month. Check out the official Battalion 1944 website for more information on the game.